Hanoi (VNS/VNA) - Documents and images related to the life of President Ho Chi Minh and his revolutionary activities in France are on display at an exhibition in the French capital city of Paris. Ho Chi Minh – World Cultural Celebrity has been opened at the head office of UNESCO in France on the occasion of the official visit by Chairwoman of the Vietnamese National Assembly Nguyen Thi Kim Ngan. On show are 100 precious documents and photos collected from Vietnam, France, Russia, and the US and preserved at the State Records and Archives Department and the Ho Chi Minh Presidential Palace Historical Site. “President Ho Chi Minh was not only a great leader of the Vietnamese but is also respected by peace lovers over the world,” said Dang Thanh Tung, head of the State Records and Archives Department. 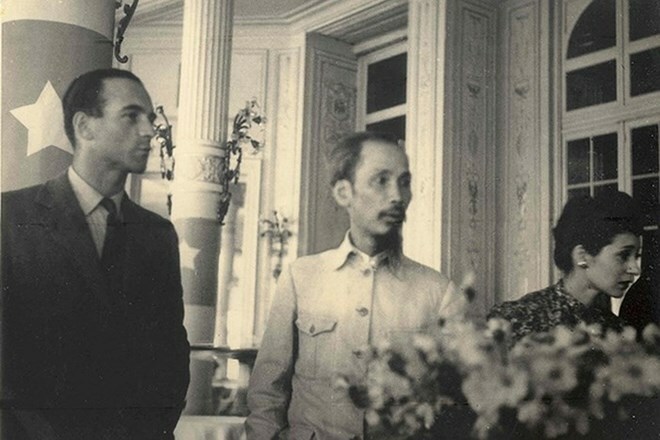 “He visited many countries, but France was the country where he established patriotic movements of overseas Vietnamese. He also set up diplomatic relations between Vietnam and France. “So these documents displayed at the exhibition reflect important periods in the revolutionary life of President Ho Chi Minh. When the exhibition closes in May, all the items will be donated to the Vietnamese association in France to celebrate its 100th anniversary. It will continue to use the artefacts to help Vietnamese living abroad understand about the former leader and the country’s revolution. Ngan laid flowers at the Ho Chi Minh monument, planted a sapling and visited the Ho Chi Minh Space in Montreau park in Montreuil city. The Ho Chi Minh Space was inaugurated on May 19, 2000, to mark his 110th birth anniversary. It is designed like a 10sq.m house at Compoint Lane where President Ho Chi Minh lived between 1921 and 1923 under the alias Nguyen Ai Quoc.